This post is one I've been thinking about doing for a while. I love highlighters and I know I'm not the only one. I wanted to have a little visual archive for myself to help keep track of what I already have. By type (liquid, cream or powder), and by colour. 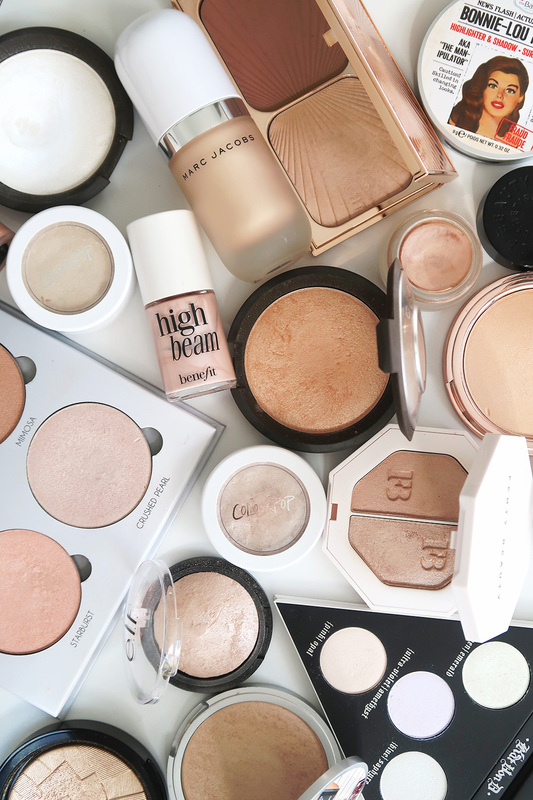 I've never felt overwhelmed by my highlighter collection, but I'm definitely at the point where I don't need to buy any more. I think I have all of my bases covered at this point and I probably have a few I could declutter too. I think this will be helpful for me to (hopefully) avoid buying things which I have dupes for. It was also interesting for me to see current dupes I have in my collection. I'll go through each of the products individually down below. Hopefully you find this helpful in some way, I know I'll be referring back to it next time I'm considering buying a new highlighter. For reference I am fair with yellow undertones (Mac NC10 or Nars Siberia). If you've seen my last post you'll know that I recently had a little weekend trip to Flinders. 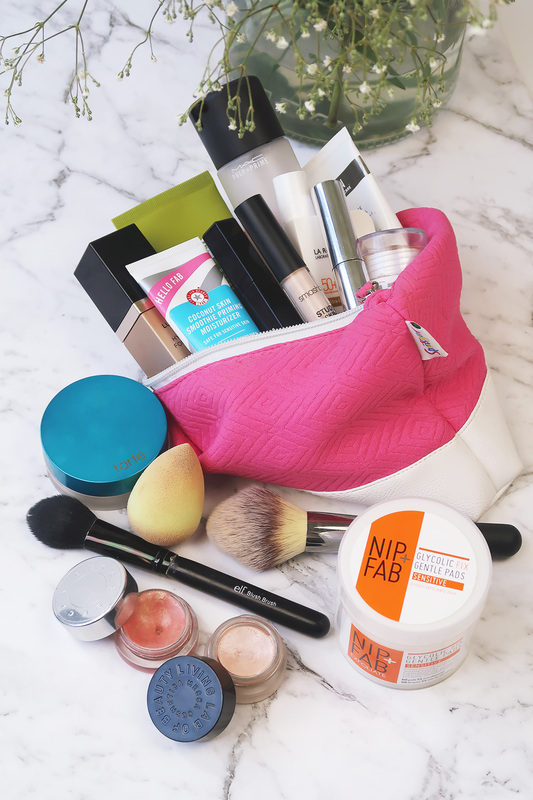 I love reading about what makeup people take away with them when they go on holidays, so I thought I'd share mine. It was a quick two night stay, so I tried really hard not to over-pack. I'm sure we've all been guilty of thinking we might need three different blushes for a week long trip before. We drove up on a Friday and came home on Sunday, so I tried to narrow down the skincare I took to only what I would actually have a chance to use. I could have probably been a little more cut-throat, but I did still want to be able to enjoy having a small routine. Of course I made sure to pack my beloved Origins Drink Up Intensive Overnight Mask. I've made a habit of slathering my face with this every night. The Ren Flash Rinse 1 Minute Facial is one of my favourite masks for travelling. It's not at all messy, is quick to use and makes my skin feel immediately better. The packaging also doesn't take up much space and isn't prone to breaking. 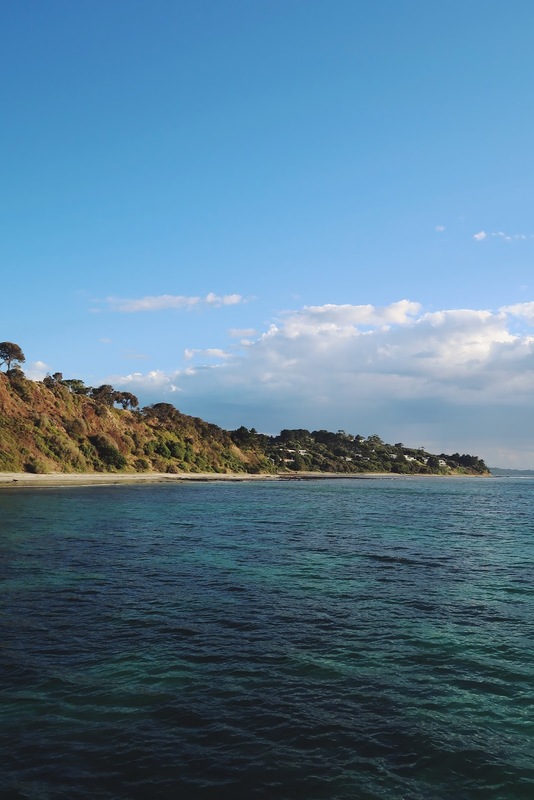 A couple of weeks ago my partner and I took a little road trip to spend a two nights in Flinders on the Mornington Peninsula. I had an accommodation voucher from my job to use and I wanted to use it as an opportunity to explore a part of my state that I haven't before. I'm currently taking a little blog break, but I'll be back soon with a completely revamped website. © Other Summers. Design by Fearne.